“The smartest person in the room listens more than they speak”. This quote references something we should all do more of, but that's not why I mention it here. I like this quote because it points out that gaining information and data is what makes us, and everything around us, smart. We are constantly bombarded with news of smart cities being built all over the world – Europe, Middle East, China and India among many. Usually state sponsored or city sponsored to create or retrofit an existing city to bring in more (non-human) smarts. Data collection is huge and central to the enablement of smart cities – collection, analysis, presentation to enable automated or human based decision making. The story around smart cities usually focuses on three aspects: efficiency, productivity and environment. 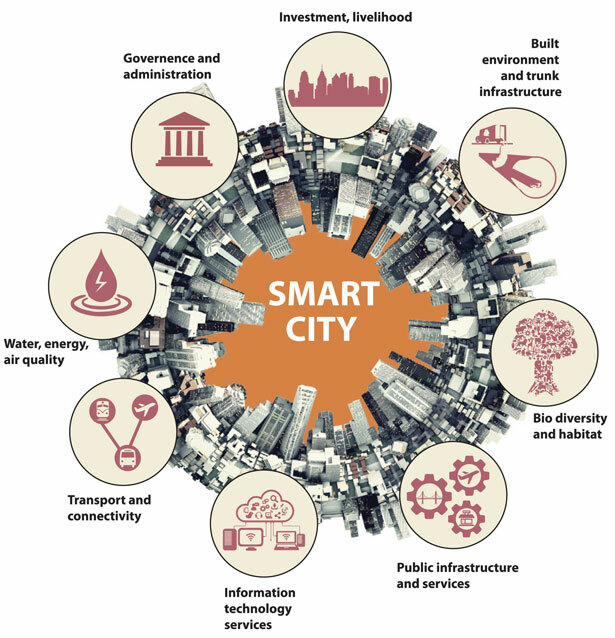 Every smart city works on all three with a major emphasis as a central point – as a core selling point. And to achieve this, we need to add the proverbial ears for the city in order to make the right decision and adjust itself to the varying needs of its residents and environment. The “ears” being sensors or more precisely, IoT devices. Everything measurable will be measured; consumption of resources, traffic, health, power, temperature, activities around the city and movement of people. Now, you must be asking: "Aren't we doing that already?" And the answer is an unequivocal yes and no. Let me explain: We do measure consumption - every house has a power, gas and water meter, car traffic is constantly measured by the roads and by Google and others. Almost everything is measured. All these measurements are siloed in different systems; the power company keeps their data, while the traffic data stays in traffic services systems and general health is sometimes quarantined away in health systems that no one can access. So, we do collect - although with various degrees of rigor, but we keep the data separate, not taking advantage of the coherency that the data brings: actionable data for immediate, short term, medium term and long term time scales create benefits that we would never have access to. What about all those IoT's? How can we enable a greater number of sensors to collect this data to bring the smarts? We need power and connectivity across the city. When retrofitting the existing cities starts happening, we will see the anticipated growth in number of IoT devices globally. With an expected 50 billion devices by 2020 and a trillion device half a dozen years later. This will mean establishing local wireless power and data to all those IoTs in buildings and infrastructure, with the availability of power at a distance now an imminent reality ready for deployment, we do not have to worry about the trillion batteries that will now be avoided. Human civilization has not made a trillion batteries, let alone make that many in one year. As for the data communication, that gets solved automatically when you have wireless power - since the power enables longer range and frequent communication. I am fairly confident that we will not be going to the battery route for such devices, since batteries will need constant attention and become more of a burden than a solution when you are dealing with millions of devices in a city infrastructure. Having worked on a real wireless power technology for 9 years, Ossia is bringing to the market a smart and practical form of wireless power called Cota® that can enable the smart cities and make them smarter. Cota provides power-at-a-distance to devices while at the same time, providing the necessary communication for IoT devices to connect to the internet. Once we build the IoT sensors into our buildings, cars, busses and homes, our cities will start listening more, making them the smarts to provide us the healthiest and most productive time mankind will ever see.